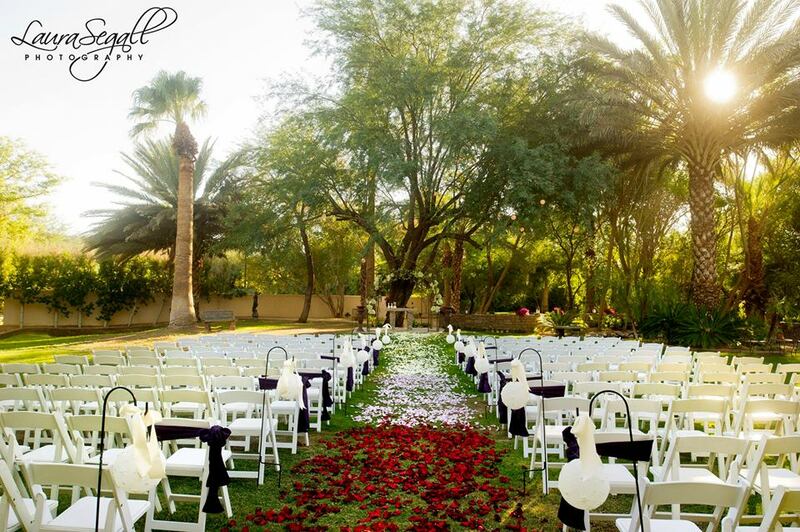 Our fabulous Grand South Lawn is the perfect place for a wedding ceremony. 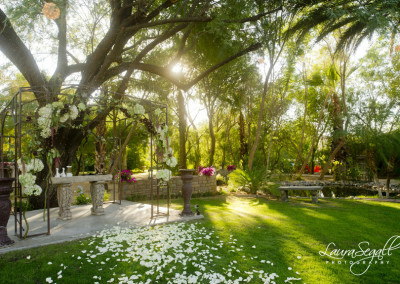 The pinnacle is the gazebo placed with the utmost care under the 25 year old giant Mesquite Tree as it cradles the gazebo below. 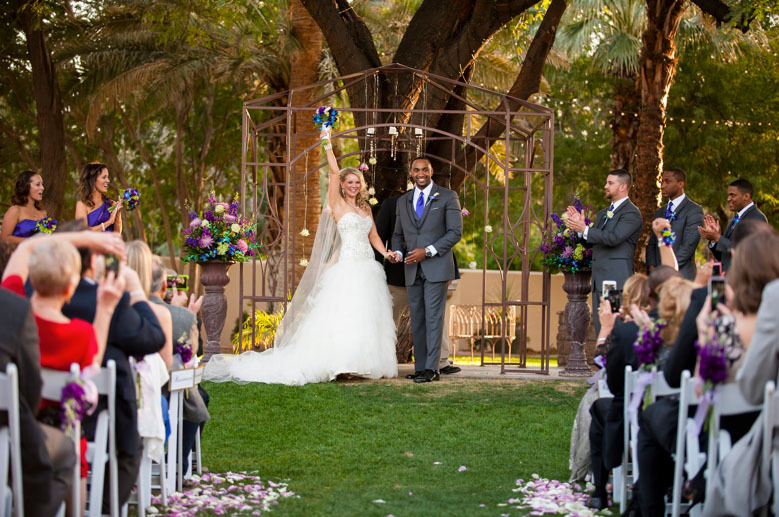 A balcony and 20 foot staircase overlooks a beautiful manicured lawn featuring an Old World iron pavilion with a carved stone altar. 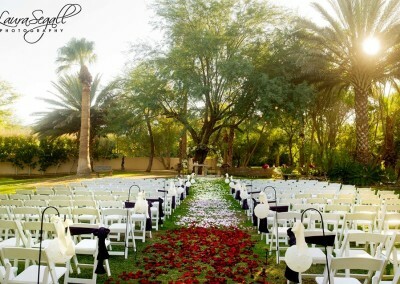 This area can accommodate up to 300 guests for wedding ceremonies. All eyes are on the bride as she descends from the top of the Grand Stair Case as the musician hit the first note of her processional. That’s the moment in time when every single guest at the wedding sees the bride all at exactly the same time…it’s absolutely magical! 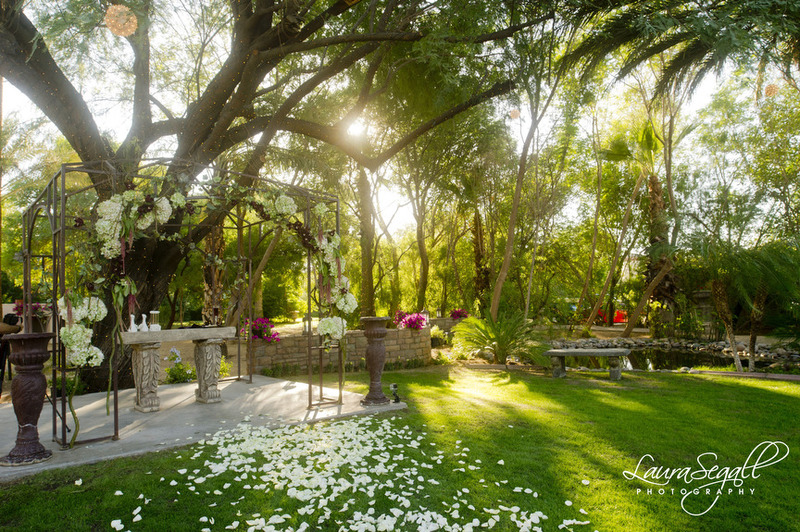 Follow an elegant brick walkway to our enchanting secluded Finnestere Garden, where your friends and loved ones can gather to witness your vows and commitment to each other or dine under the stars under a beautiful Arizona night. Finnestere maybe used in conjunction with the Grand South Ceremony Lawn for outdoor seating for dinner for up to 400 guests.